Nordstrom at The Shops at Mission Viejo have a nice and comfortable nursing mothers room located nex to the large women's restroom. 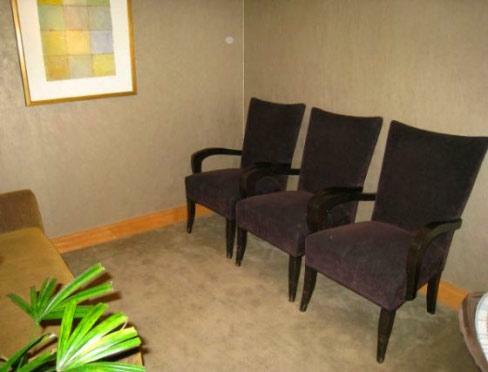 This room provide breastfeeding and breast pumping moms with a cozy space containing three chairs and a couch. There's not a sink in this room but moms can retreat to the Nordstrom women's restroom in the same area to take care of any washing or leaning up after nursing their babies.